In the years since the last installment of the Harry Potter franchise was released, its three main young stars have gone on to have very different careers. Daniel Radcliffe worked on the stage and made a few noteworthy films, while Emma Watson emerged as not only an actor, but a humanitarian and fashion icon. Rupert Grint, on the other hand, has followed a more low-key path after Harry Potter, but that doesn't mean that fans of Ron Weasley are still not following his career and anxiously awaiting more. Grint recently visited the Cursed Child set in London, and I couldn't help but wonder what else he's up to these days. When I saw the photos of Grint posing with Paul Thornley, who plays the grownup version of Ron in the play, I realized that it has been a long while since I have seen Grint on the big screen — or anywhere, really. He makes some random appearances, but they are almost always about Harry Potter, like the time he took the Pottermore Sorting Hat quiz and found out he was a Hufflepuff. Gasp! 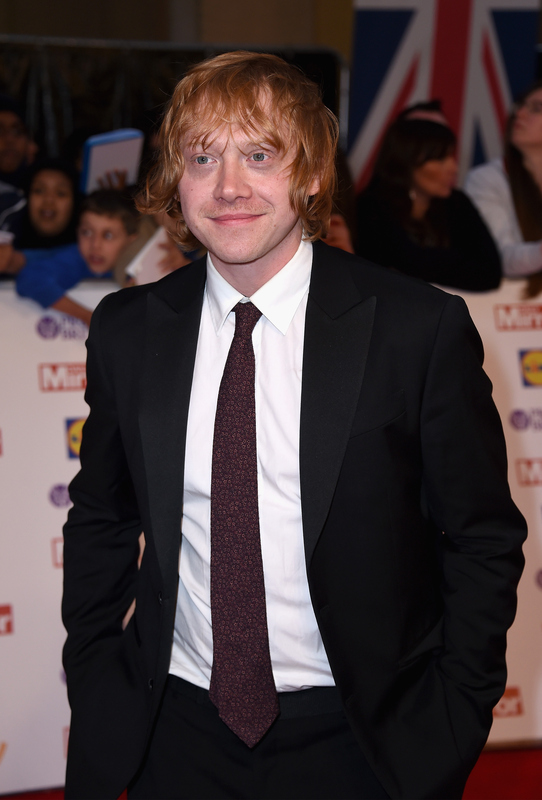 But aside from all things Harry Potter, what is Grint up to in 2016? It sounds like after some years out of the spotlight, he is getting ready to take acting on again full-time. One of the first jobs Grint had after the Harry Potter films was being an ice cream man. No, that's not a joke. Die-hard Weasley fans know that Grint often spoke about his childhood ambition to have an ice cream truck, and when you're young and ridiculously rich, why not follow your dreams? According to the Daily Mail, Grint actually bought an old truck as his first big purchase and would give out ice cream for free when kids would approach, and even supplied the treats on set for the last day of filming Potter! "My whole childhood, really, was devoted to that. I always kind of felt like I was missing out on a little bit. Once I finished, I had this kind of epiphany where I just wanted to have a little bit of fun, and just live a little bit, and not worry about anything..."
"I want to get back into it, and do new things and new challenges. I love doing theater... that was really educational actually, being onstage. I fell in love with acting again. Now is the time." Straight from the man's mouth! Grint's stint in theater was small, but successful. He had his first part on London's West End in 2013 in Mojo and made his Broadway stage debut in 2014 in It's Only A Play with an impressive cast of veterans like Nathan Lane, Matthew Broderick, Megan Mullaly, and more. As for on-screen work, after his role in Moonwalkers in 2015, Grint signed on to star in Sick Note, a six part TV comedy that will air in early 2017. Grint will be playing a comedic role, but he shared with MTV News that he is looking for projects in which he can play a villain and do more "serious, dramatic stuff." A second new project for the actor was announced in October 2015, and will see him starring in an untitled one-hour drama on NBC, the pilot of which has already been ordered. According to Deadline, the project was developed for Grint, who is a huge comic book fan, and would follow him as Rupert, a "low-level New York office drone" obsessed with a comic book, Imperial City. The description of the show on Deadline continues, "Rupert has spent his whole life believing he owned all nine issues. But when a mysterious comic book collector reveals the existence of a tenth issue, Rupert discovers that the world of Imperial City is real, and he is the one person who can save it." Hmmm, this sounds interesting and right up Grint's alley. He told MTV News that he is excited for the project and that he is keeping an open mind on how it develops. While his fans have been missing him these last few years, it sure looks like he is preparing a few diverse roles to set him up for the future, and fans (and Grint) are more ready than ever.